Each day over 50,000 business clients and visitors arrive in Greater Oak Brook. While some come to work in this bustling, professional corporate center, many others visit Greater Oak Brook to enjoy first class shopping. 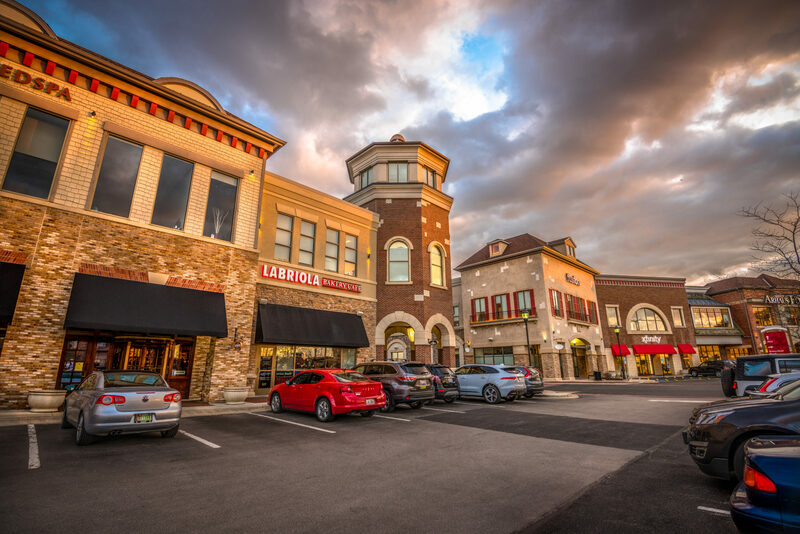 Great Oak Brook is the home of an upscale super-regional shopping center, as well as a number of other excellent shopping centers with diverse retail, dining, and entertainment options. Oakbrook Center is an upscale super-regional shopping center located near the intersection of I-88 and Illinois Route 83 in Oak Brook. The center was originally opened in 1962 and has become the largest open-air center in the contiguous United States with over 160 stores and restaurants. Managed and co-owned by General Growth Properties, Oakbrook Center is the second largest shopping center in the Chicago metropolitan area, encompassing over two million square feet of space and parking for over 12,500 vehicles. Oakbrook Center has over 25 million visitors each year. Current anchor stores include Lord & Taylor, Macy’s, Neiman Marcus, Nordstrom and Sears. Other major retailers include Apple, Crate & Barrel, Mark Shale, Microsoft, Pottery Barn, Tesla and Pinstripes. The center also includes more than 25 restaurants. Some of these are Antico Posto, Cheesecake Factory, The Clubhouse, Corner Bakery, Maggiano’s Little Italy, Mon Ami Gabi, Reel Club, Stir Crazy and Wildfire. A $12+ million interior renovation project that enhanced the overall shopping experience was completed in 2015. In the past two years, the shopping center has also added an AMC theater, a new food dining court and more parking options. 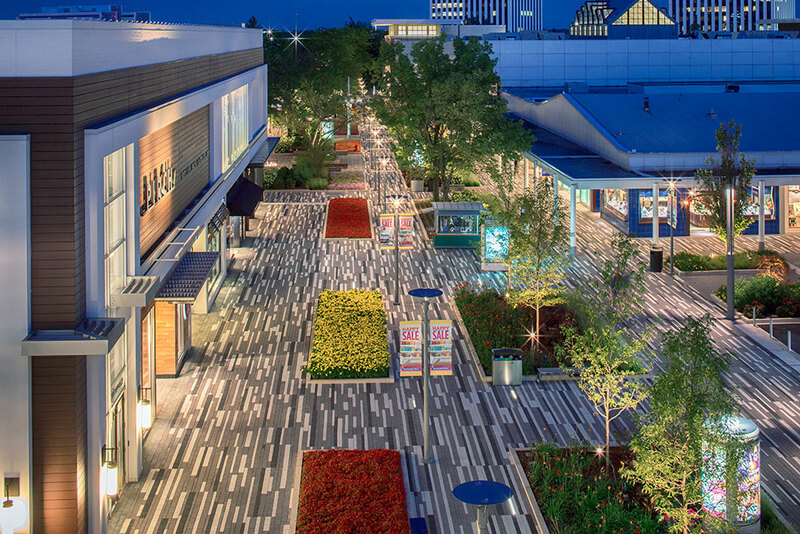 Built in a European village setting and old-world architecture, the Oak Brook Promenade provides 185,000 square feet of retail, restaurant and café space. The center is pedestrian-friendly with broad walkways, a beautiful pond with walking trail, outdoor seating, and lush landscaping. Major retailers include Allen Edmonds, Arhaus Furniture, Helzberg Diamonds, Joseph A. Bank, Select Comfort and Thomasville Furniture, Fusion Academy. Promenade restaurants include Omaha Steaks, La Barra, Kona Grill, Labriola Bakery and Café and McCormick & Schmick’s. JRC Plaza in Oakbrook Terrace is three separate, but contiguous one story retail strip shopping centers on the North side of 22nd Street between Route 83 and Summit. JRC Plaza East is 37,814 square feet featuring tenants such as For Eyes, Which Wich, Men’s Wearhouse, Devon Seafood + Steak and others. JRC Plaza West is 26,000 square feet featuring Fox’s Designer Clothing, New Balance, Subway, AT&T and AT&T Device Service Center, Dao Sushi and Thai and Kaehler Luggage. In the middle of both of the centers, is the 8,700 square feet Tilted Kilt Pub & Eatery. Oakbrook Terrace Square in Oakbrook Terrace provides a village setting, complete with beautifully landscaped pedestrian walkways that include attractive plantings and seating areas to encourage outdoor gathering while shopping. The center features a 58,000-square-foot grocer, Pete’s Fresh Market, plus an additional 83,000 square feet of new shopping, dining and services tenants. Oakbrook Terrace Square offers excellent positioning directly on the busy Roosevelt Road, as well as signage visibility and a dramatic sense of arrival. 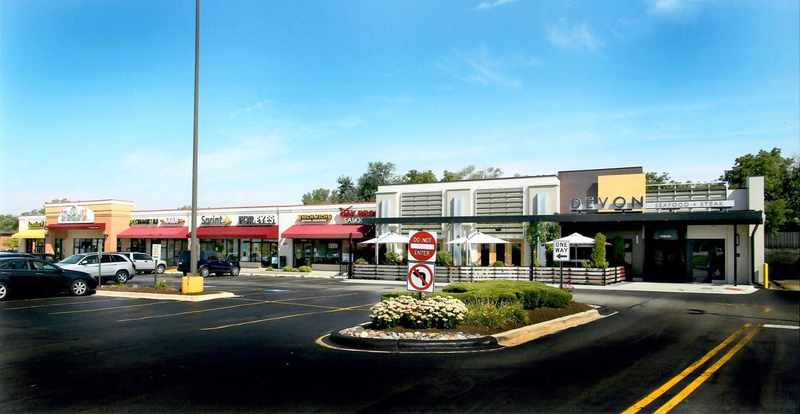 An exclusive collection of retail destinations located along Oak Brook’s 22nd Street commercial corridor. With over 175,000 square feet of space, a number of major retailers can be found at the Shops including Nordstrom Rack, Old Navy, DSW Shoe Warehouse, Cost Plus World Market, TJ Maxx, Ulta Beauty, La-Z-Boy Furniture, and Pier 1, and Mattress Firm. Other Shopping Centers in Greater Oak Brook include: Clearwater, The Oaks of Oak Brook, Oak Brook Court, Butterfield Point Shopping Center, and others.